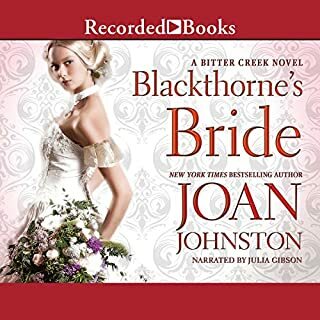 Two years have passed since Josie Wentworth was bought from the Sioux for a gold watch and whisked back to England by Marcus Wharton, the Duke of Blackthorne. When Marcus breaks his promise to return Josie to America, she ends up as a maid in the home of his charming but neglected nephews. Once Josie's long-lost family finds her, however, the suddenly wealthy heiress sets out to save the two boys from their indifferent uncle - and teach the duke a lesson in honor. I don't know which was worse the foppish accent of the duke or the stupidity of the main character. The worst was that I paid $20 for this book.